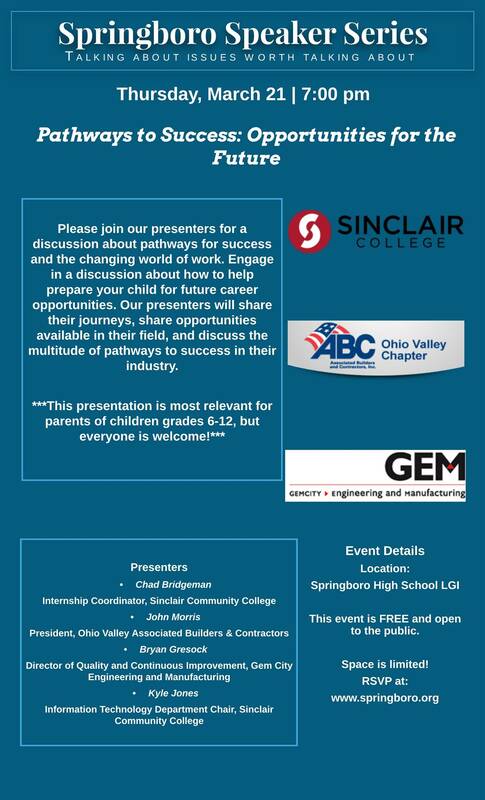 Please join our presenters for a discussion about pathways for success and the changing world of work. Engage in a discussion about how to help prepare your child for future career opportunities. Our presenters will share their journeys, share opportunities available in their field, and discuss the multitude of pathways to success in their industry.